He alleged that India was behind terrorism in Pakistan and they have credible evidence against it. Pakistan Defence Minister Khawaja Asif. 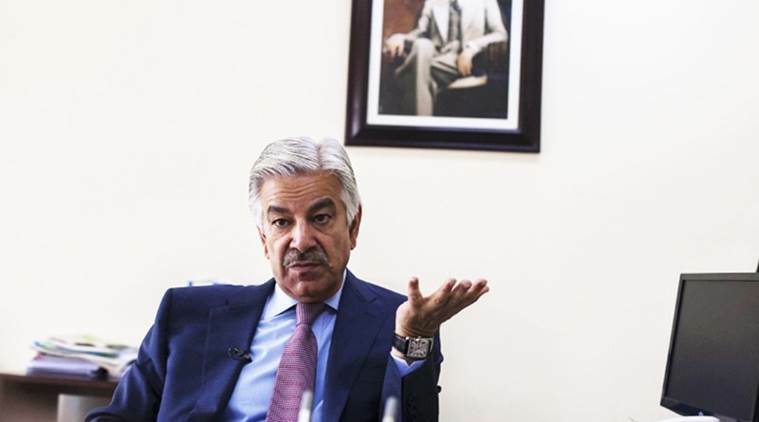 Assuring severe retribution, Pakistan Defence Minister Khawaja Asif has asserted that they will kill three Indian soldiers for every Pakistani soldier they neutralise. Speaking in the National Assembly on Friday, Asif said that dire consequences would be faced by India if it went to war against Pakistan. Asserting that the situation at the LoC was intentionally being intensified by the Indian government to win people’s support in the upcoming general elections, the Defense Minister alleged that India was behind terrorism in Pakistan and they have credible evidence against it. “We have sent dossiers and video films to the UN and other countries showing Indian involvement in terrorism in Pakistan,” Asif said. Acknowledging that Pakistan might be economically weaker than India, Asif said that India knows that once the CPEC is complete, Islamabad will rise stronger. However, he said that Pakistan would try to maintain a balance of power in the region and would not respond to India in any kind.